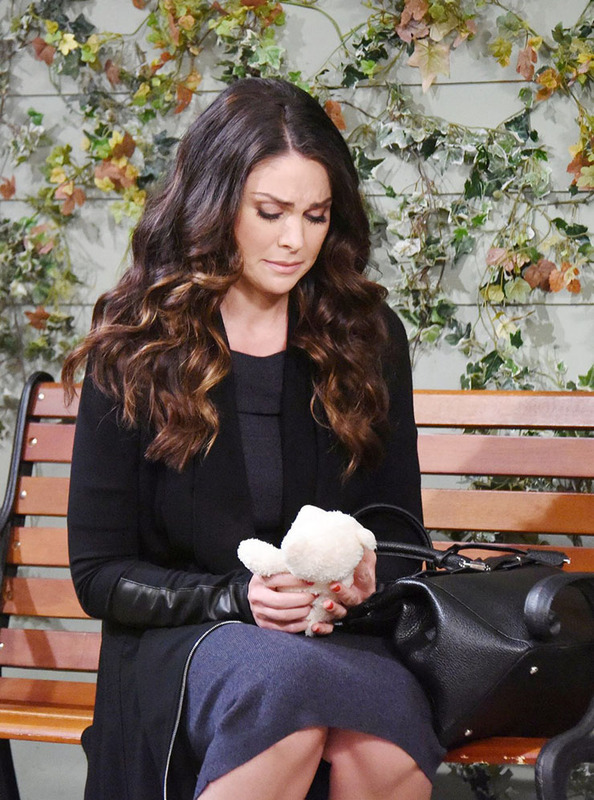 Chloe feels alone–but not for long–in the Days of Our Lives spoilers. The Days of Our Lives spoilers for Friday, March 10th, predict that all is not lost for Chloe, who gets some help from a surprising source. Ironically, if Chloe (Nadia Bjorlin) were hoping to mother the biological child of another woman, Nicole (Arianne Zucker) would be by her side as her best friend. Of course, in this situation that can’t happen. She’s feeling pretty hopeless and alone (Hello, Nancy [Patrika Darbo]!). But sometimes just when you’re ready to give up, someone shows up for you that you wouldn’t have guessed would. For Chloe, Friday, that’s Eduardo (A Martinez). Meanwhile, Eduardo feels pretty alone himself, in the love department, at least. Kate (Lauren Koslow) persists in her resistance to his amorous overtures. You know what they say though–persistence pays off. But will Kate’s persistence or Eduardo’s be the one to win in the end, pulling apart or uniting these two? Fresh off the heels of helping her through being held at syringe-point by a desperate, dying Hal (Real Andrews), Steve (Stephen Nichols) has to give Kayla (Mary Beth Evans)–and Joey (James Lastovic)–some shocking news. Tripp, his son with Ava, has been in touch. There’s no easy way to say it, and there’s no easy way to hear it either. Nicole’s little mothering on the lam plan isn’t going so well. In her desperate loneliness, she trusted someone she shouldn’t have and got taken for what little she had left. Luckily, she still has the most important, irreplaceable piece of her life, Holly. Brady (Eric Martsolf) is desperate too–to help his troubled friend. And he tries to do just that Friday.